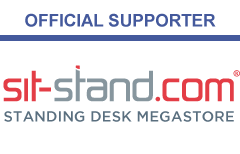 If you're preparing to start sit-stand, congratulations! We recommend you take it easy initially and build up your standing time gradually over a series of weeks and months. 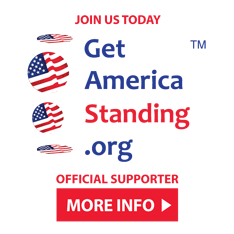 Experts recommend splitting your time evenly between standing and sitting, accumulating at least two-hours per day of standing and light activity, eventually progressing to a total accumulation of four hours. Those individuals new to adopting more standing-based work could expect some musculoskeletal sensations and some fatigue as part of the change process. If such sensations cannot be relieved either by an altered posture or walking for a few minutes, then you should rest (including sitting) with a posture that relieves the sensations. If discomfort does persist, then seek appropriate medical advice. Similar to the risks of prolonged static seated positions, so too should prolonged static standing postures be avoided. 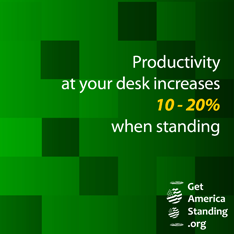 Avoid excessive sitting and standing. Keep moving around, take frequent breaks, and make a conscious effort to mix it up. 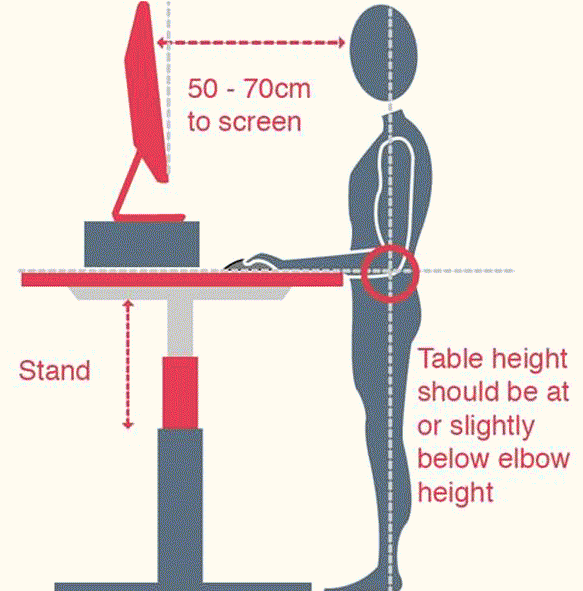 Standing all day can lead to back, knee or foot problems. Make sure you have comfortable footwear and think about a comfort mat. 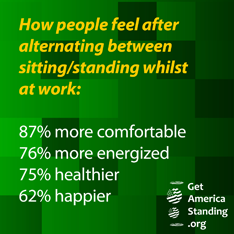 Find out what things you prefer doing standing e.g phone calls, clearing out your inbox, routine deskwork. Also find out the things you do better sitting e.g concise and creative writing, proof reading, in depth analysis. Active Working and sit-stand workstations deliver a compelling solution, enabling us to mix up sitting with intermittent periods of standing. © Active Working C.I.C. 2019. All rights reserved.